Canon Picture Styles are set in your Canon camera and are useful to get the desired photo look out of the box. You get this by tweaking color and other settings. Picture Styles are available from Canon, a default set is already available on any Canon DSLR. Additional Picture Styles can be downloaded from Canon. A quick guide on settings and customization is also available. So what are Canon Picture Styles about? Canon Picture Styles are preset yet adjustable parameters that determine how your EOS DSLR will process and ren- der its images. Picture Styles are applied to JPEG (still) and MOV (video) les during exposure. They are perma- nent to the extent that the rendering is “baked in” and cannot be completely undone. Picture Styles can also be applied to RAW les, either during or after exposure. While you can immediately use the Picture Styles set in your Canon DSLR, getting to make your own Picture Style can be a bit intimidating. For those who prefer learn stuff by watching tutorial videos, Canon USA has a set of videos about Canon Picture Styles, and about how to use the Canon Picture Style Editor to get your own, customized setting. It’s the closest thing to film emulations you can get on a Canon DSLR. Start with the video below, an introduction to Picture Styles. Interested in more? Then click on the “read more” button below to watch all the videos. Canon released a new version of their photo software, Digital Photo Professional (DPP) 4.5.20. Support for new cameras, and eventually also for older camera models, has been added. This is good news, since now also owners of an EOS 5D, EOS 40D, EOS 30D etc can use DPP 4.x. There are also some bug fixes in the new version. You can download Digital Photo Professional (DPP) 4.5.20 here. 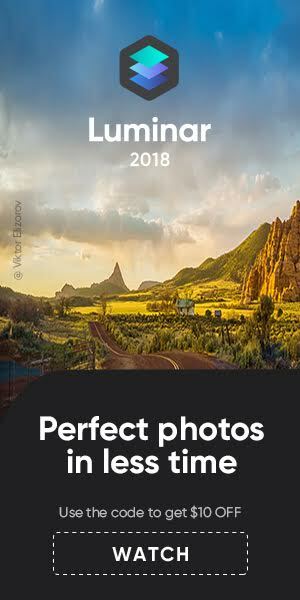 First select your camera and then proceed to the download section. Canon Professional Network posted a short tutorial about how to use Adobe Lightroom for mobile. Richard Curtis, Adobe Systems UK Principal Solution Consultant in Digital Imaging, writes exclusively for CPN on how to get the best from Adobe’s Lightroom for mobile app. Adobe Lightroom for mobile is a free app, but only makes really sense when used together with Lightroom, along with Adobe Creative Cloud Photography plan. 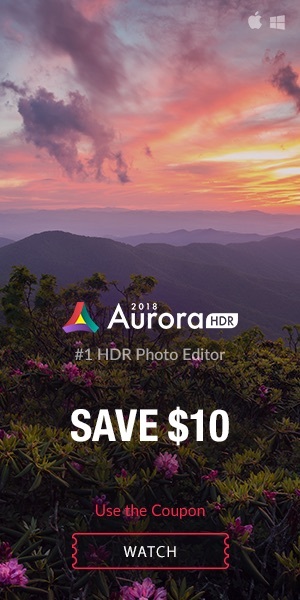 Macphun has a limited time promotion for their Luminar photo editing software (Mac only). Get Macphun Luminar at discounted price plus bonuses worth over $250 for just $59. Expires 12/31. Luminar has recently been updated to include Touch Bar support, batch processing, and a number of new filters. For more info, get in touch. Do yo own an Oculis Rift? If you do, you can play around with a simulator app made by Canon, named “Camera Simulator by Canon Labs”. The whole thing is very easy to understand and to play with The video below gives an overview.